Never mind the scheduled FIFA international friendly between the Philippine Azkals and our Southeast Asian neighbours Malaysia this Saturday, which in a way is a bedding in for new coach Thomas Dooley and a chance to get a peek at new and fringe players. Regional bragging rights apart, that match will probably offer us little more than what we already know about either team. It is the next international friendly about Azerbaijan in Dubai that tickles the imagination as it opens a whole new realm of possibilities for Philippine football. It is stock knowledge to all and sundry that the Azkals are as yet too lightweight to take on Europe’s elite as some of our Asian neighbours now do on a regular basis. Azerbaijan, nonetheless, plays in UEFA; and this match makes a statement of both ambition and intent. The team, admittedly, is considered among Europe’s footballing minnows. That said, its players have shared the same pitch with the continent’s most illustrious. The Azkals stand to gain more even from a loss than from winning over familiar foes within the region. Of particular interest to the Azkals will be Azerbaijan’s goalless draw in an away international friendly with Kyrgyzstan as recently as November last year. Like Azerbaijan a former Soviet republic, the Kyrgyz are currently ranked below the Philippines at 148 in the FIFA Men’s Rankings. This match will also offer valuable insights about how far behind – or how close, if one wishes to stay positive – the Azkals are to the world’s footballing elite. For starters, Azerbaijan – a former republic of the Soviet Union – is currently ranked 93rd in the FIFA World Men’s Rankings. The team is also coached by the legendary German Berti Vogts, who won a place in footballing folklore by man-marking the great Johan Cruyff out of the 1974 World Cup final to help West Germany win the championship. Vogts took over management of the German national team from Franz Beckenbauer after the nation won the World Cup of 1990. As manager, he struggled to replicate the successes of his predecessor; but his team nonetheless won the European Championship in 1996. He stepped down from managing the German national team in 1993 and has also managed Bündesliga side Bayer Leverkusen as well as the national teams of Kuwait, Scotland and Nigeria. With Azerbaijan, which Vogts started to manage in 2008, he has had moderate success. Then again, this is a matter of perspective as his appointment runs all the way through to the qualifying stages of the 2016 European Championships. The country has no major silverware to crow about and neither has it managed to get out of its World Cup and European qualifying groups. However, it has attained some degree of respectability within UEFA through some remarkable results. Most notable of these was a home 1-nil victory over 2002 World Cup 3rd placer Turkey in the 2012 European Championships qualifying. Although Azerbaijan ultimately finished second from bottom of the qualifying group, it also managed a 1-all home draw with Belgium, currently regarded as World Cup dark horses. 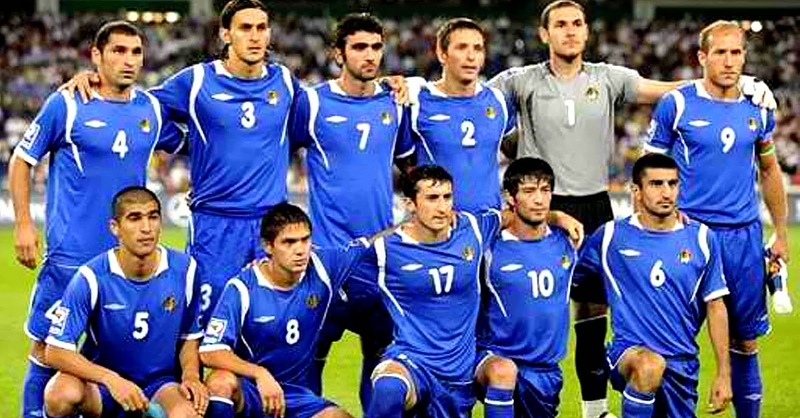 In 2014 World Cup qualifying, the country also earned 1-all home draws against Israel, Luxembourg and the group’s subsequent winner and top qualifier Russia. It also finished two points ahead of Northern Ireland, one of the British Home Nations. The lowly position is probably more due to a dearth in international matches rather than an indication of the strength of the Central Asian republic’s football team. In fact, last year, Kyrgyzstan defeated Middle Eastern nations Kuwait and Bahrain in international friendlies. Chances are that the team will figure prominently in the AFC Challenge Cup later this year and may meet the Azkals at some point in the tournament. The Azkals’ result against Azerbaijan, therefore, offers insights into the impending clash with Kyrgyzstan in the Challenge Cup, if at all both teams manage to get out of their qualifying groups. Dooley takes along a significantly stronger team than the one he takes to Kuala Lumpur this weekend, which is basically home based excepting the presence of Ascot United’s Robert Gier, FC Wil 1900’s Martin Steuble and CD Burgos’ Juani Guirado. Joining the squad in Dubai from their European clubs are Roland Müller of Servette Geneva, Neil Etheridge of Fulham FC, Jerry Lucena of Esbjerg fB, Javier Patiño of Buriram United and Stephan Schröck of Eintrach Frankfurt.